Making a difference in the South Pacific! Since 2013, Sea Mercy as been working with the international yachting and healthcare communities to bring some of the most incredible programs to the thousands of forgotten and neglected remote islands of the South Pacific. Working directly with our island nation partners and volunteers, we have made participating in these important programs easy, rewarding, and impacting. Whether you are an international volunteer, vessel owner, or sponsor, we hope you consider joining us in making a difference in the South Pacific. Here are a few of the programs that we provide. Follow the links to more information on each primary program. Floating Health Care Clinics (FHCC) - Every year we partner with volunteer vessels who are willing to carry international medical, dental and eye care professionals to some of the most “at risk” remote islands that do not have access to such care. We cover the operating costs (food, fuel, vessel expenses) during the 2-week rotation of our FHCC vessels. Disaster Response & Recovery Fleets - There are few sights more wonderful than seeing the first vessel arrive bringing much needed aid following a natural disaster. Every year we are expanding our disaster response and recovery aid capabilities to the often forgotten and neglected remote islands. Join our First Response & Disaster Recovery Fleets as we prepare for the next disaster. 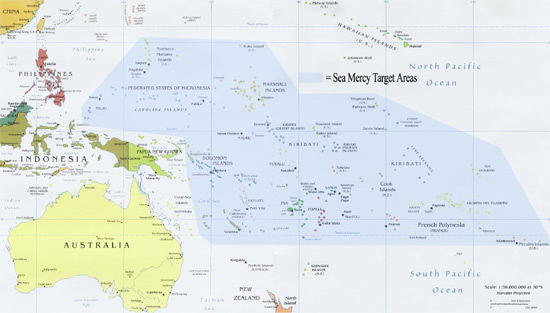 Global Mercy Armada - Each year we send our experts to evaluate and assess the Water, Education & Economic Development needs on some of the most “at risk” remote islands in the South Pacific. We take the information and send a Global Mercy Armada loaded with the resources, experts and tools to help them to not only survive, but to thrive and become self-sufficient. Most of us are blessed with the health, education, and economic development infrastructure that is available to the majority of our population, but in the South Pacific, there are no roads, power lines, or phone systems to connect the smaller, less populated, islands to these same services offered on the more populated, primary islands. These remote islands are left without even the most basic of services creating an incredible disparity between the remote islands and primary islands in terms of overall health, education and self sufficiency. To add to the challenges, there are also no disaster response platforms available to deliver international aid to these remote islanders following a natural disaster. With earthquakes and tsunamis in the South Pacific becoming a yearly event, the need for disaster response aid is even more urgent than ever. 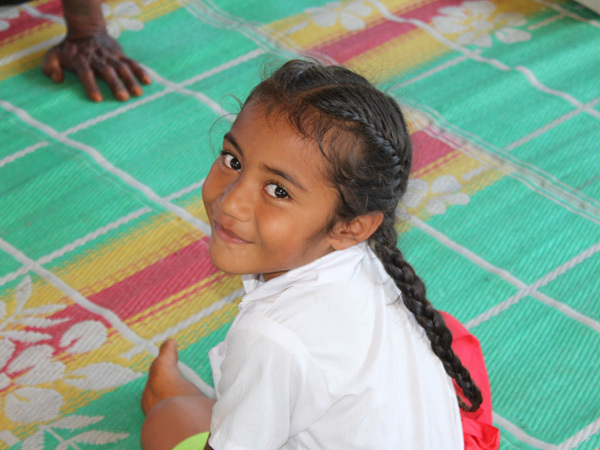 Providing these necessary health care, education, economic development, and disaster relief services to the thousands of South Pacific remote islands is the very reason that Sea Mercy was created. Sea Mercy is a US based 501(c)3 non-profit organization with a simple vision and mission to "stand in the gap" with a service delivery vessel, trained volunteers, support equipment, and services as our island nation partners develop their "outer island" infrastructures. Operating from a fleet of large sailing yachts, Sea Mercy provides and staffs free Floating Health Care Clinics (FHCC), Global Mercy Armada (GMA) economic programs, and disaster response and recovery fleets to aid our island nation partner's remote islands.